The Bornean rainforests provide shelter to such unique species as pygmy elephants, flying squirrels, and proboscis monkeys. 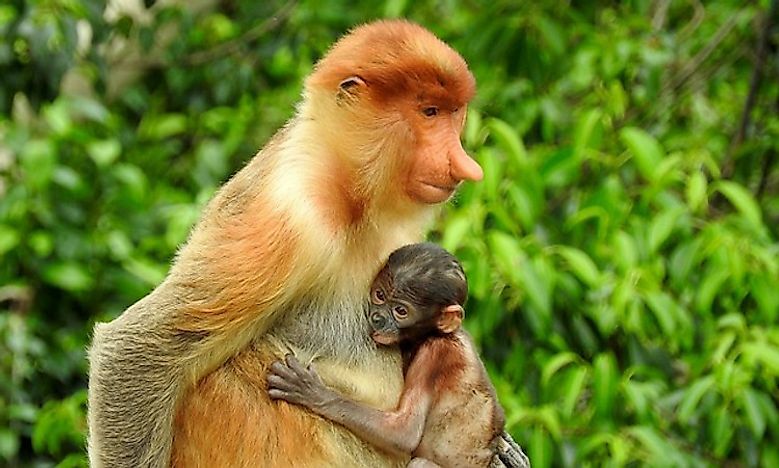 The proboscis monkey and its baby, a unique, endemic species of Borneo. 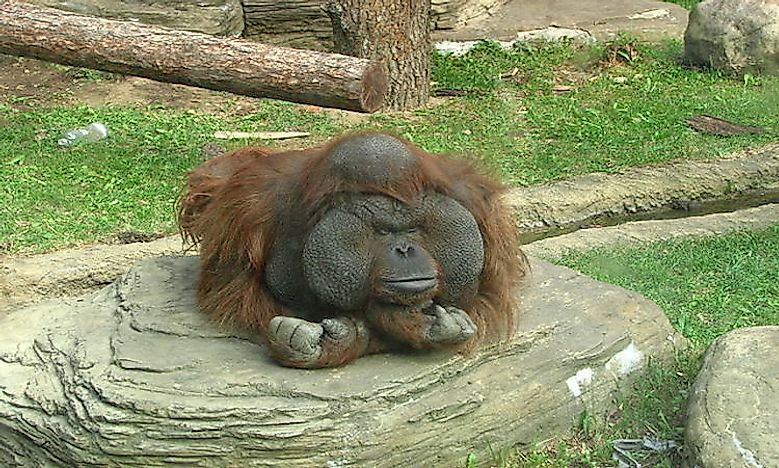 The Bornean orangutan (Pongo pygmaeus) is a highly intelligent primate that is native to the island of Borneo. It exhibits advanced tool making skills and well-established cultural patterns in the wild. The closeness of the Bornean orangutan to us is evident from the fact that we share 97% of our DNA with these orangutans. These animals live in the tropical and subtropical moist broadleaf forests in the lowlands of Borneo. Seeds, leaves, figs, flowers, honey, insects and birds’ eggs are all consumed by these orangutans. Today, the Bornean orangutans are critically endangered due to habitat loss and poaching. They are poached for bushmeat while young orangutans are sold as pets after killing off their mothers as part of the illegal pet trade. Clearance of the forests inhabited by these orang-utans for palm oil plantations has also deprived these social animals of their peaceful life, food sources, and security. 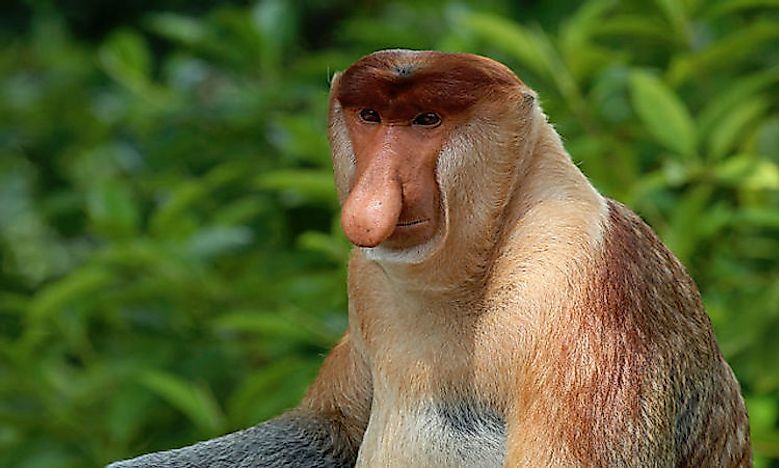 The proboscis monkey (Nasalis larvatus), one of the largest species of monkeys, is easily distinguished by its unusually large nose. 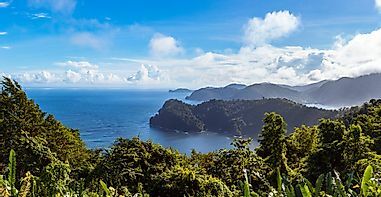 This species is endemic to Borneo, distributed across the territory of all the 3 nations of Indonesia, Malaysia, and Brunei that comprise the island of Borneo. The monkey lives in the coastal areas and along the rivers on the island. The proboscis monkey is one of the best swimmers among the primates and can swim up to 66 feet underwater. It is a seasonal frugivore and folivore by nature. The proboscis monkey is one of the endangered animals in Borneo. Habitat loss and hunting have reduced the population of this species by over 50% in the past 36-40 years. 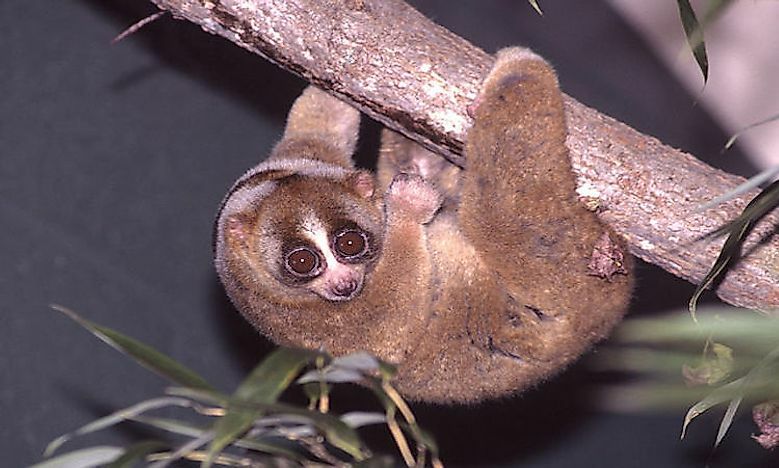 The Bornean slow loris (Nycticebus borneanus), a native Borneo animal, lives in central south Borneo. The animal is arboreal and nocturnal in nature and an omnivorous feeder. Tree gum, nectar, fruits, and insects are its primary sources of food. One of its unique features is its toxic bite which is quite uncommon among primates. Habitat loss, hunting, and capture for illegal wildlife trade are the major threats to the survival of the Bornean slow loris. 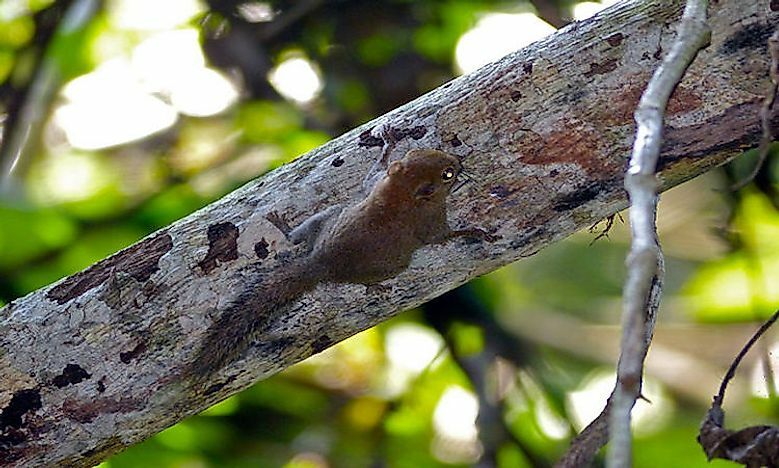 The least pygmy squirrel (Exilisciurus exilis) is one of the smallest species of squirrels that is endemic to the forests of Borneo and is also found on the Banggi Island. 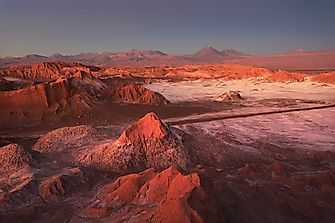 The squirrel inhabits lowland areas and lower hilly regions. 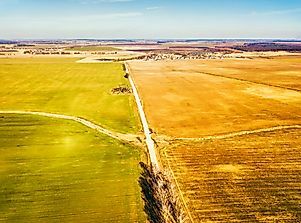 Massive habitat destruction and replacement of lowland and low hill forests by commercial plantations threatens the continued survival of this species. Flying squirrels encompass 44 species of squirrels belonging to the rodent family of Sciuridae, some of which inhabit the rainforests of Borneo. 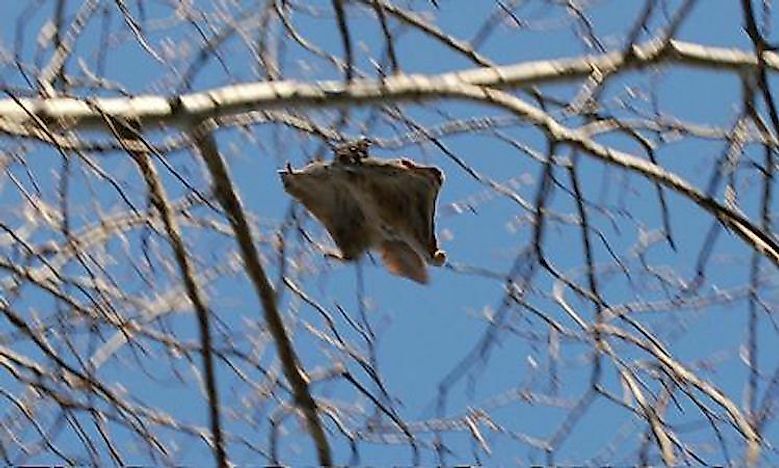 Though these squirrels cannot fly as efficiently as the birds, they are able to glide between trees by means of a furry, parachute-like membrane called the patagium. The membrane stretches from their wrist to ankle while gliding. Fruits, nuts, birds’ eggs, etc., are the diet of these squirrels. 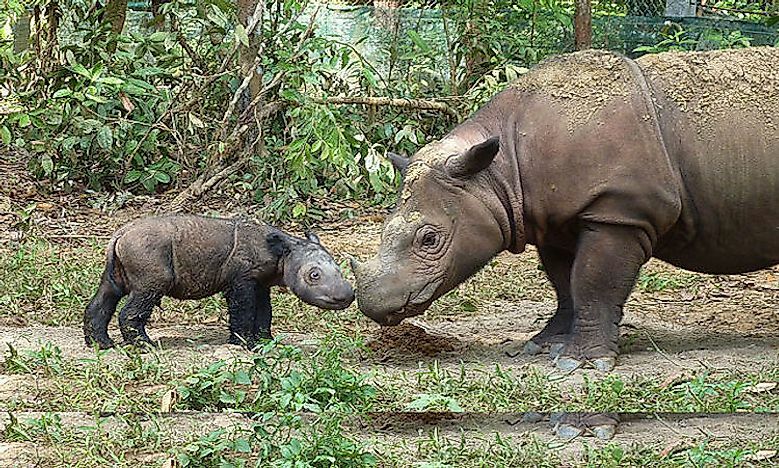 The Asian two-horned rhinoceros (Dicerorhinus sumatrensis) or the Sumatran rhinoceros is a critically endangered rhinoceros species that is distributed in Sumatra and Borneo. It is the smallest of all rhinoceros species. Only 5 extant populations of the Sumatran rhino remains today with one in Borneo and the remaining four in Sumatra, totaling about 80 individuals. The rhinos have been poached extensively for decades for their horn which is used in traditional Chinese medicines. Despite strict laws banning the exploitation of this animal, human greed continues to threaten the survival of these rhinoceroses even today. 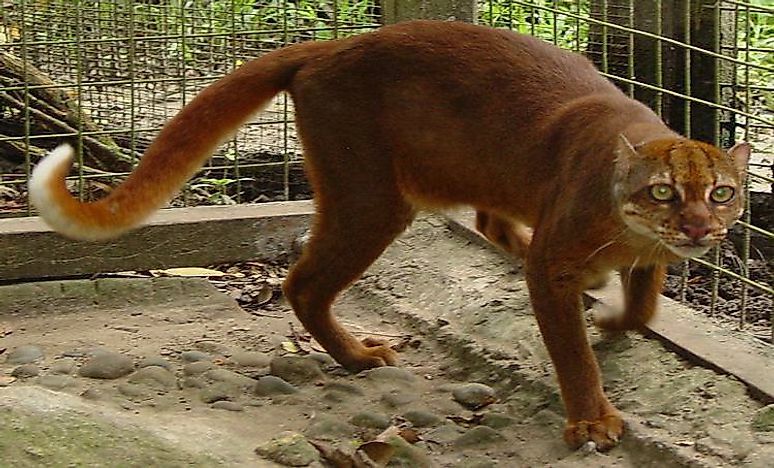 The Bornean bay cat (Catopuma badia) is a wild cat that is endemic to Borneo and occupies a variety of habitat including swamp forests, hill forests, and lowland dipterocarp forests. These cats are highly secretive and nocturnal in nature and hence are difficult to sight and study. It is also one of the endangered animals in Borneo and habitat destruction is the biggest threat faced by this species. The semi-aquatic otter civet (Cynogale bennettii) is native to some parts of Southeast Asia. It is also found on the island of Borneo and thus finds mention in our list of Borneo animals. 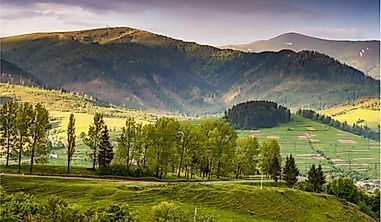 Lowland primary forests are their preferred habitat. The otter civet is a nocturnal species and catches its prey from the water. 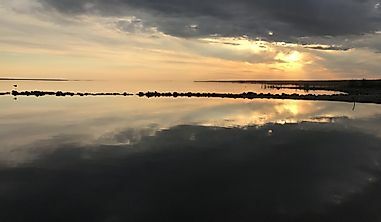 Crabs, mollusk, and fishes are its preferred prey. Habitat destruction triggered by the replacement of peat swamp forests by palm oil plantations is the primary reason for the loss of the otter civet. The Sunda clouded leopard (Neofelis diardi) is a wild cat found in the Southeast Asian islands of Borneo and Sumatra. 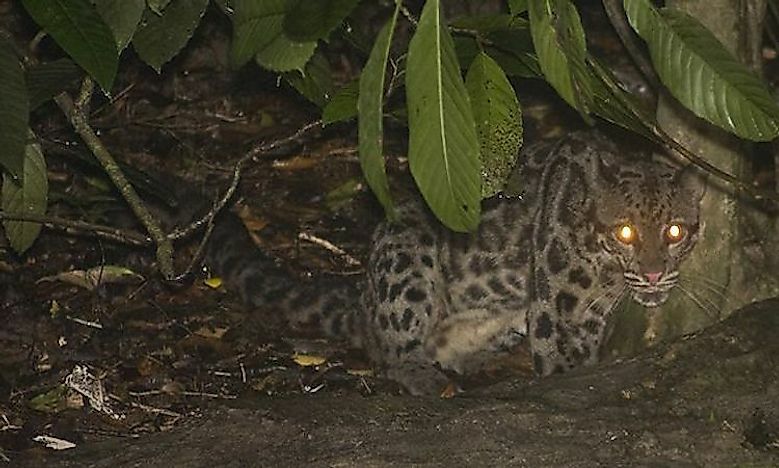 The Bornean clouded leopard, found exclusively in Borneo, though originally thought to be the same species as the Sunda clouded leopard, was classified as a separate species when genetic results revealed considerable differences between the two. Both these species find mention in our list of Borneo animals. The clouded leopards are highly secretive and solitary in nature, and hence little is known about their whereabouts in the rainforests. Clouded leopards hunt on the ground and are efficient climbers that help them to hide from enemies. The Borneo elephant (Elephas maximus borneensis) inhabits the tropical rainforests of northern and northeastern Borneo. 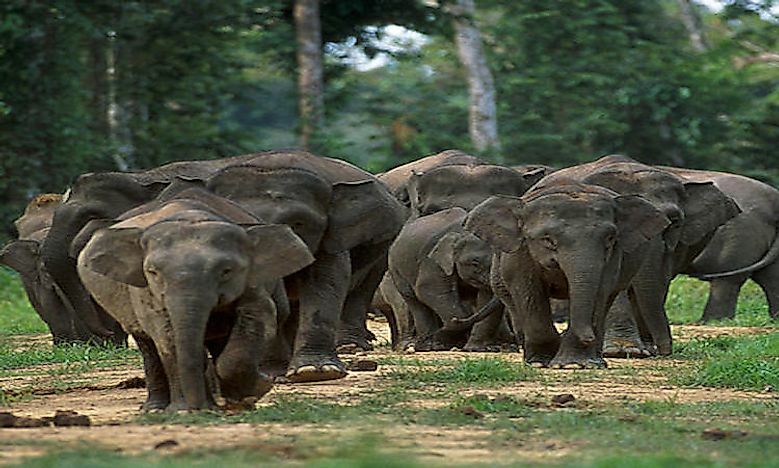 The population of the Borneo elephant has decreased by over 50% over the last 3 generations. Currently, IUCN classifies this animal as endangered.